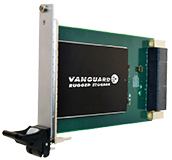 Vanguard Data Storage Blade/Module Products are available in an unlimited variety of configurations. Choose from direct attached storage (SAS, SATA etc.) 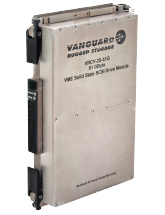 or networked storage devices with Solid State Drives or Hard Disk Drives. Vanguard can quickly create unique customer specific configurations.